This article is sponsored by Credit Karma Tax, but all opinions are my own. As a student (or a recent grad), you’re used to hustling and pinching pennies. You’re working a job, working on the side, and trying to avoid taking on more debt. All that effort is probably helping you build wealth at a young age. Unfortunately, there’s one time when it starts to hurt, and that’s tax time. With so many moving pieces, students and recent grads often have surprisingly complex filing statuses. That complexity could translate to paying more for tax software. But in 2019, that’s doesn’t have to be the case. Credit Karma Tax is one of the only software packages that is truly free for all users, and it’s our top choice for students. Tax filing software companies are notorious for advertising that their tax filing software is “FREE!” Of course, free doesn’t necessarily mean free in most cases. In general, the free label only applies to people who only have W-2 income. Does that fit your situation? In a lot of cases, probably not. 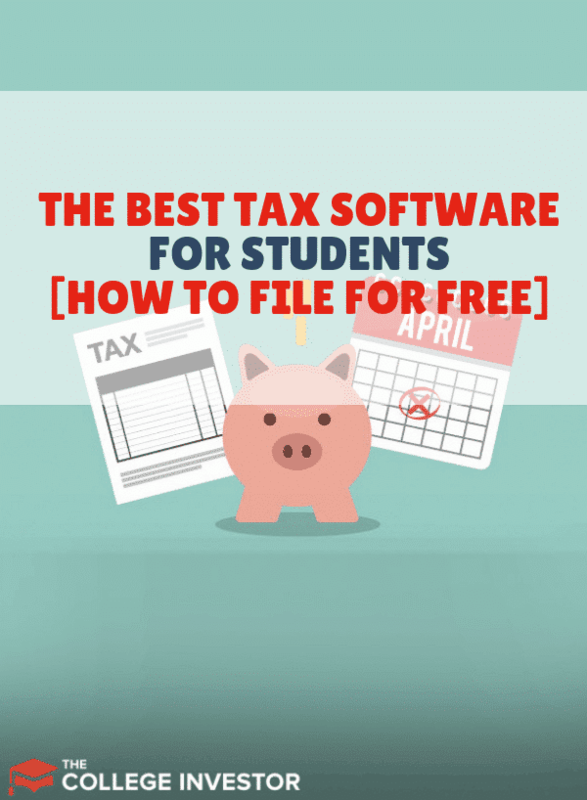 See what we're talking about on our guide to free tax software. Many students will need to pay for the most expensive version of the software because they have self-employment income. Don’t think you’re self-employed? If you’re selling items on eBay, driving for a ride share company or tutoring online, you’re self-employed. That means you need to file a Schedule C- which means paying for upgraded filing software. Additionally, some students will have taxable income from scholarships or grants. That “other income” often isn’t included in the free packages. Since Credit Karma Tax is free for every filer, students should definitely take advantage of it. You’ll maximize your deductions without paying a penny. Of course, tax filing isn’t all about the income side of the equation. You also need to review your expenses, including your student loan interest and education tax credits! Many students and most recent grads will put some of their money towards paying off their student loans. Student loan interest is an “above the line” deduction, meaning you don’t have to itemize to take it. But not every tax software package allows you to deduct it for free. In fact, most will let you “start for free” then make you upgrade to a paid version right before you file. And then you’re left with a choice - start over again someone else free (like Credit Karma Tax), or pay the difference. It’s frustrating! With Credit Karma Tax, it’s free to file no matter what. So, if you student loan interest - it’s free! If you have education tax credits - it’s free! You don’t need to worry about it once you start. Of course, price isn’t everything in a tax software package. Students and recent grads should also consider the accuracy and ease of use of a package. For students (especially those with self-employment income), Credit Karma Tax is an extremely easy to use software. The interface is simple, the navigation is clear, and Credit Karma Tax has a team of experts ready to help you. On top of that Credit Karma Tax has a maximum refund guarantee. If you file an amended return using the same information you provided to Credit Karma Tax, and you get a bigger refund, Credit Karma Tax will give you up to $100. But the maximum refund guarantee isn’t the only reason to consider Credit Karma Tax. As a student, you’ve probably only filed your taxes a few times, so you may feel nervous about doing something wrong. But Credit Karma Tax has your back on that too. 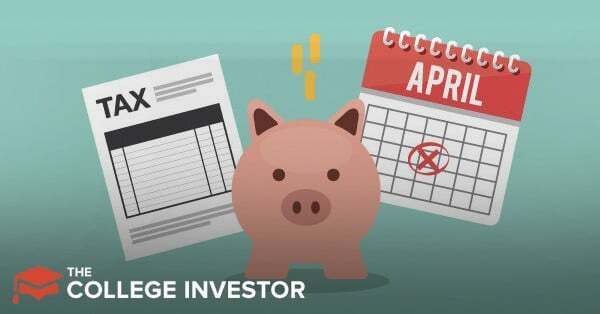 If the IRS audits you, Credit Karma Tax will connect you with a qualified case resolution specialist who can guide you through the audit process. This is a valuable service that you get for free, just by filing through Credit Karma Tax. Credit Karma Tax is a free, easy to use, and accurate tax software, and it offers audit defense. That makes it an obvious choice for students and recent grads. Don’t waste your hard earned money on a tax filing software that doesn’t provide you with value. Instead, choose our top choice for free tax filing software for students, Credit Karma Tax. If you're looking for more options, check out our rankings of the Best Tax Software.